This tutorial is about how to add Blogger Sitemap to popular Bing Search Engine and drive traffic quickly and it is best SEO Tips and Tricks for blogger. Bing Search Engines is "formerly Windows Live and MSN Search" is being launched fully online on 2009. Though Bing obtains a part of Search Engine traffic compared to Google and Yahoo. You can get more good result and profit after submission of Blogger Sitemap to Bing Search Engine. The reward of adding your Blogger Sitemap to Bing is that you will be trained more about how your Blogger Blog is crawled and what keywords have been applied by visitors to access your posts. If you have a hot mail account type address without any mistake than navigate to the "Bing Webmaster tools". You can sign up with Gmail account and open new account with Bing http://www.bing.com/toolbox/webmaster. When you complete your sign up procedure than log in to Bing. After that press “Add Site” button in Bing Webmaster home page and then enter your Blogger Blog URL address and then click "submit" button. After completion of that function your Blogger Blog will appear on the list of added sites under your Bing Webmaster Tools account. Now following two options would appear on the screen. After that sign in Webmaster tools and click on “Crawl summary” then chose "Add Site map button". If you found any problem install Microsoft Silver light it is very necessary. 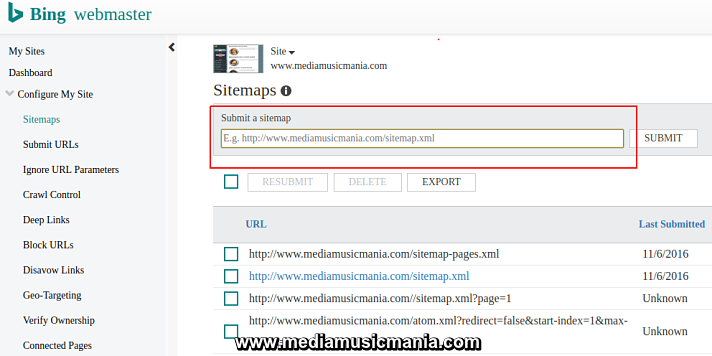 After that click on "Add Site map" dialog box will pop up and enter the URL of your Blogger Blog as per following procedure and make sure that you have submitted two separate site maps first site map for your blogger posts and second Site map for your static Pages. See the following Site maps for your guideline. 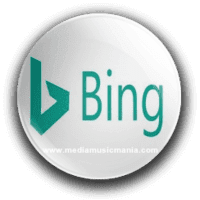 Bing is one of the world's most popular search engines, it is very easy to use so Bing Search Engine creating lot of visitors, and Bing also provide accurate search results. Your searches will become even more accurate with these simple Bing search engine shortcuts and advanced keywords. it is very necessary in these days submit your Blogger or Website Site map to Bing Search Engine and get more and more visitors, and also Bing provide great technical search facilities. As a matter of course in Bing, all quests are AND searches. You must underwrite the NOT or potentially administrators. Something else, Bing will overlook them as stop words, which are regularly happening words and numbers that are precluded to speed a full-content search.Stop words and all accentuation marks, aside from the images noted in this article, are disregarded unless they are encompassed by quotes or gone before by the + symbol. Only the initial 10 terms are utilized to get seek results.Because OR is the administrator with the most reduced priority, encase OR terms in enclosures when consolidated with different administrators in a pursuit (look priority implies that Bing assesses the activity of a few administrators before assessing the activity of different administrators. It is great SEO Tips and Tricks for blogger to submit your sitemap to Bing.